The Swiss Water Process is a chemical free decaffeination process that brings out the best flavor in the coffee beans. Try our delicious Sumatra Decaf coffee that is cultivated through this unique process. 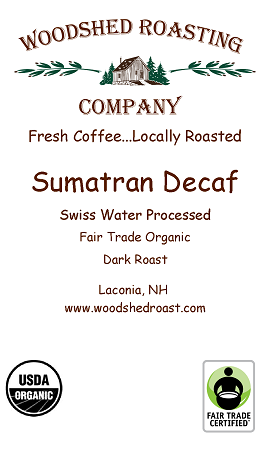 Our Sumatra Decaf has a nice full body, with little acidity. 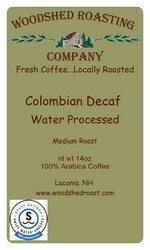 Made of dark roast, organic coffee beans, this decaf is unique as it is tasty. Order a package or two for your home today!